I am not going to lie; the last month of school is sooo busy, teachers sometimes wish they could fast-forward to the last day of school. When the last day comes, they want to sloooowww it down. This year on the last day of school, we will try to make it like any other day. We will talk to students in the halls; we will laugh at jokes we have heard twenty times, we will ask what colleagues and kiddos have planned for the summer. Ten minutes before the bell rings, teachers will begin their final speech of the year. It will go something like this, “Boys and girls, it’s been a great year…” At this point teachers’ voices begin to crack. “And now it is time for you to move to the next grade. You’ve worked hard and you are ready.” Finally, the last bell will ring. Teachers will stand up, wipe their eyes and without any direction the students will line up for hugging. Teachers will bite their lips, tousle hair and pat heads good-bye. When the students are all gone, teachers will put the classroom to bed, load memories into a box, stack the chairs to one side, erase the “1 day left” from the corner of the whiteboard, close the cupboard doors, take one last look around the room, turn off the lights, and lock the door. Then the year will be over. Just like that. Students will be dismissed at noon on Friday. Lunch will be served at 10:10 for those students who would like to eat lunch. Pizza is the only menu item; chicken nuggets and sandwiches will not be available. Buses will be running the regular routes. We had plans to end the year creating a Riverview music video. This plan has been postponed until the beginning of the 2018-2019 school year. Thank you for being understanding. On behalf of the Riverview students and teachers, I would like to thank the PTA for their service during this 2017-2018 school year! This work is very important to the experiences our children have at Riverview. Your contributions provide the “something extra special” for the students. Your work this year has resulted in some real successes. These include: the Spring Carnival, Book Fairs, Red/Green Ribbon Week, White Ribbon Week, Art Show, Parent/Child Activities, Teacher Appreciation Week, Popcorn Fridays, BoxTops for Education Drives, Classroom Parties, SEP Dinners, Reflections Contest, and Parent Helpers in the classrooms! The number of parents who were involved in activities this year is truly remarkable! The true beneficiaries of your efforts are the students at Riverview! Again, thank you for your efforts! The office at Riverview will be open Monday – Thursday from 8:00-1:00. These times are based on grade level for next year, 2018-2019. A Summer School fee of $50 is required. Students are able to register for more than one session, with an additional $40 fee/second session. If you choose to register for one subject only, the fee is $25, with an additional $15 fee/second session. Complete a registration form. Registration forms will be available in the office. Riverview also has summer clubs available. The classes will help parents bust the summer boredom with great activities to do during summer vacation. The link to sign-up is https://www.signupgenius.com/go/20f0d4aaead22a1fd0-riverview. 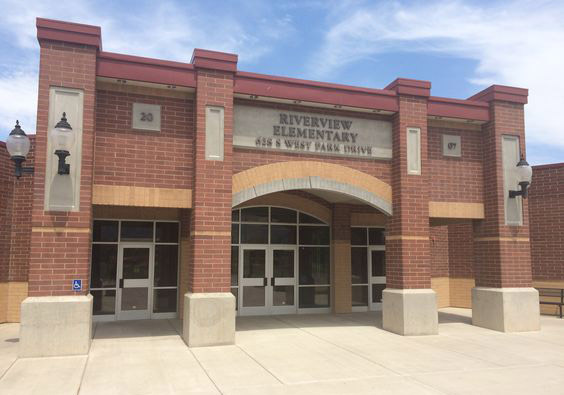 Riverview Elementary School registration for the 2018-2019 will be held online and made available on July 25th. We will be available on site August 1st from 8:00 a.m. to 4:00 p.m. If your family is moving out of the Riverview catchment area, please make us aware as we plan for class lists. Registration information will be available on the Riverview website at http://riverview.nebo.edu/. Please continue to check the website throughout the summer for additional information. It has been a great year! Have a wonderful summer!